As President Donald Trump struggles to pass legislation of any kind, investors are losing patience with the area of the stock market that was supposed to benefit most from his pro-business agenda. The group in question is small-cap companies. And in order to fully understand their reversal of fortune, think back to the weeks following the presidential election — a time when Trump's proposed policies were still viewed as imminently achievable and potentially lucrative for domestic-focused corporations. The Russell 2000 index of small-cap stocks surged 14% from November 8 through year-end, roughly triple the return of the benchmark S&P 500. But sadly enough, that was the end of the road for the group's post-election rally. 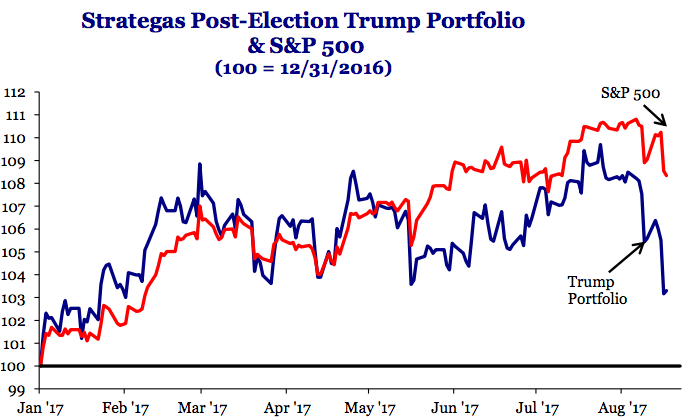 Small-caps have traded almost completely flat in 2017 as the S&P 500 has climbed 8.5%, their prospects dimmed by a lack of progress from Trump. This divergence can be at least partially traced to a surprisingly weak US dollar, which has traded lower relative peers due to, you guessed it, deflated expectations for pro-business measures. While a weaker currency makes exports more profitable for large multinational companies, it hurts their more domestic-focused counterparts. And if large speculative traders are to be believed, the worst is yet to come for small-caps. 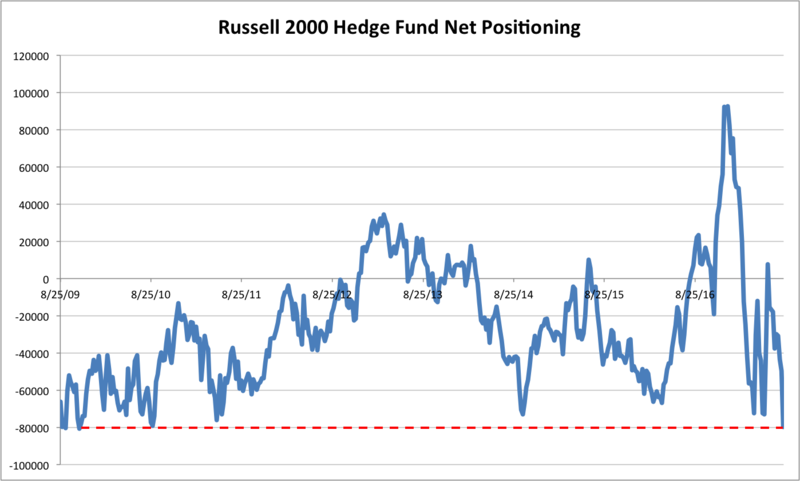 Hedge funds are the most bearish on the Russell 2000 since November 2009, according to data compiled by the Commodity Futures Trading Commission. While small-caps are certainly having a rough time, all areas of the stock market linked to Trump's proposed policies are coming under pressure. A portfolio of companies expected to benefit most from those unfulfilled measures sits close to its lowest level of the year after peaking about a month ago, according to data from Strategas Research Partners. "It seems clear that domestic and international investors alike are starting to doubt the president's ability to deliver on his economic package," Jason Trennert, chief investment strategist at Strategas, wrote in a client note. "We think these fears are overblown, but with more weeks like the last one the skepticism will only grow."